What if all of the ‘time management’ tools that we use are simply the wrong approach? Would the notion of ‘prioritizing time’ prove to be nothing more than a shell game in the pursuit of creating more time? If you listen to our return guest, Rory Vaden, the answer to both of these is a resounding yes. 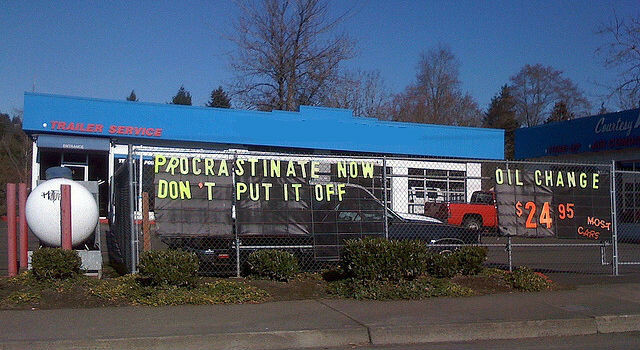 Which is why he has written his newest book Procrastinate on Purpose: 5 Permissions to Multiply Your Time. Rory is the world’s leader on defining the psychology around modern day procrastination, called Priority Dilution™ – in fact, he coined the term. He speaks and consults on how to say no to the things that don’t matter, and yes to the things that do. As an award-winning entrepreneur and business leader, Rory Co-Founded Southwestern Consulting™, a multi-million dollar global consulting practice that helps clients in more than 14 countries drive educated decisions with relevant data. As he did in our last discussion, Rory offers terrific insights – we know you’ll enjoy them.